Word Building PACEs are sequential, from 1001 to 1108. From 1097 to 1108 the subject is called Etymology, although Etymology is a feature of earlier Word Building as well. 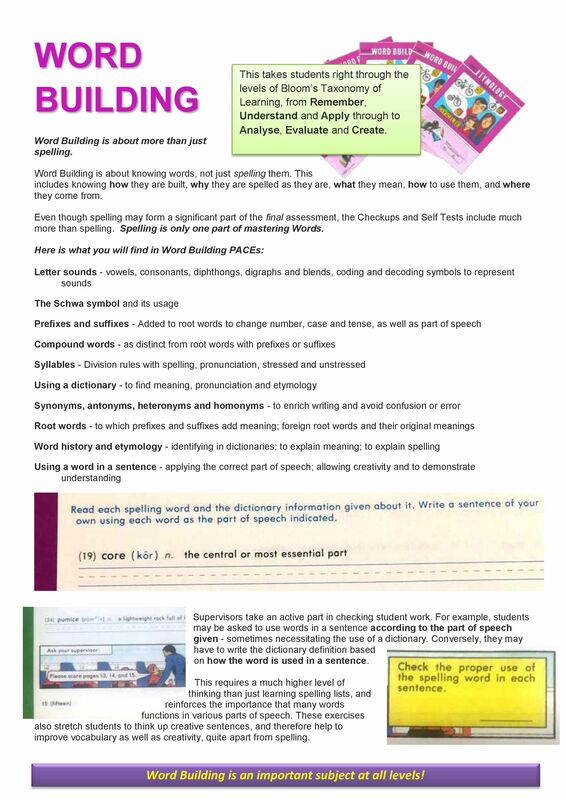 Although Word Building assessment involves a lot of spelling, the course covers much, much more than just spelling.